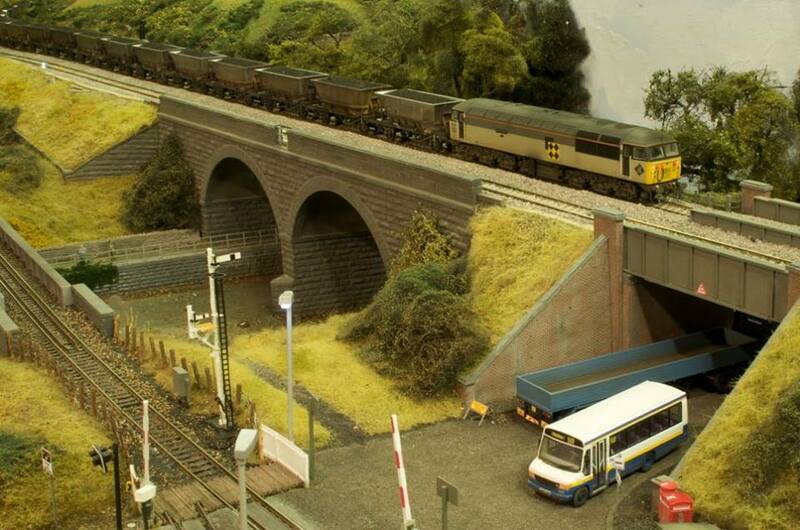 Elliot Bridge is an OO gauge layout depicting a fictional, hill countryside location somewhere along the spine of Northern England. 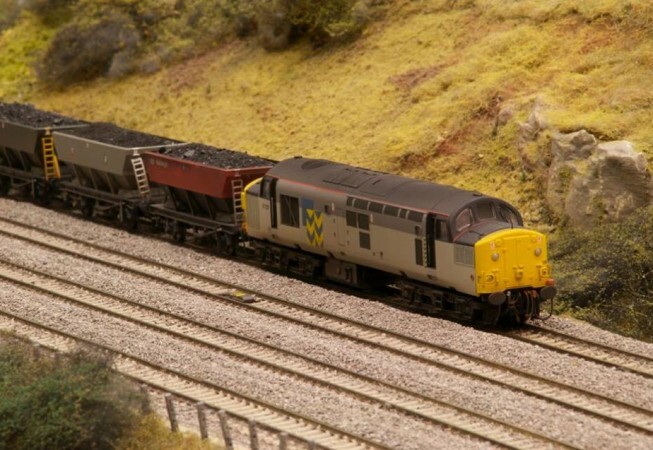 It includes a former Midland Railway double track main line and branch running on a lower level, which serves the local aggregate industries. 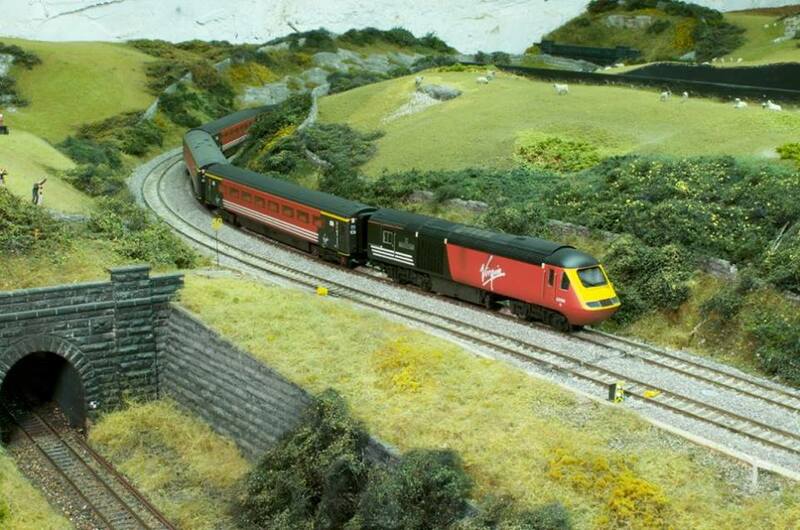 The concept is a “minimal buildings, watching trains in the countryside” layout, portraying the period of the last five years up to the present day. 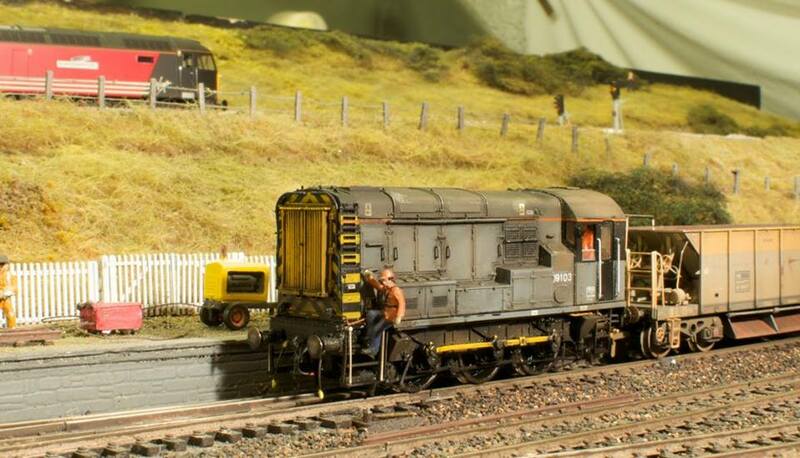 There is a distribution depot on the branch with associated shunting activity. 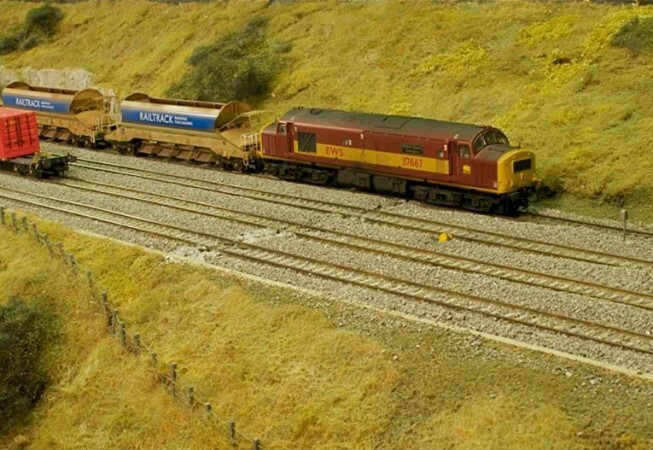 The unit handles anything we want it to; primarily this is bagged cement and fertilizers conveyed in vans. 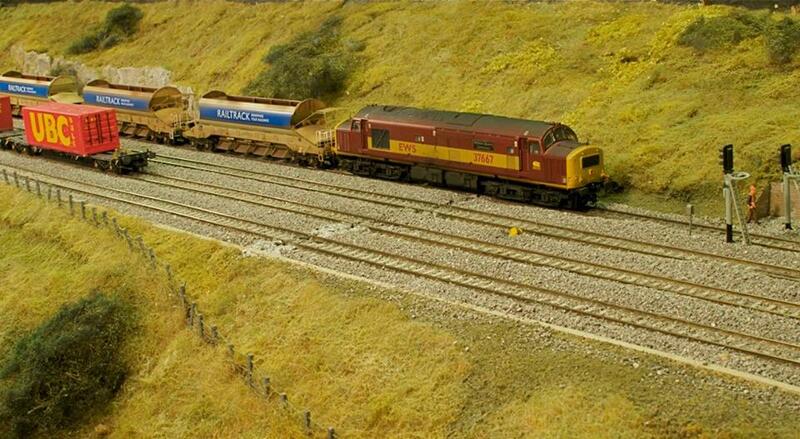 On the siding there is a hopper, which can load cement or lime into waiting wagons. 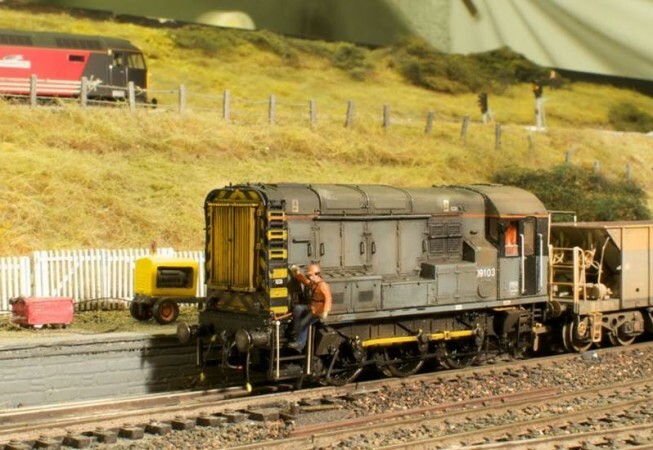 A Class 20 or 08 will be on hand to shunt the wagons in the depot area. 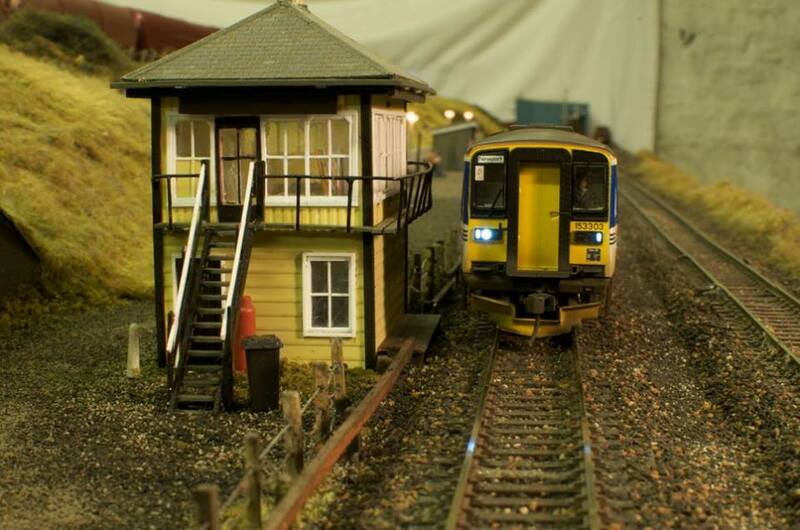 A small station, “Elliot Bridge”, is served by Northern Rail diesel units. 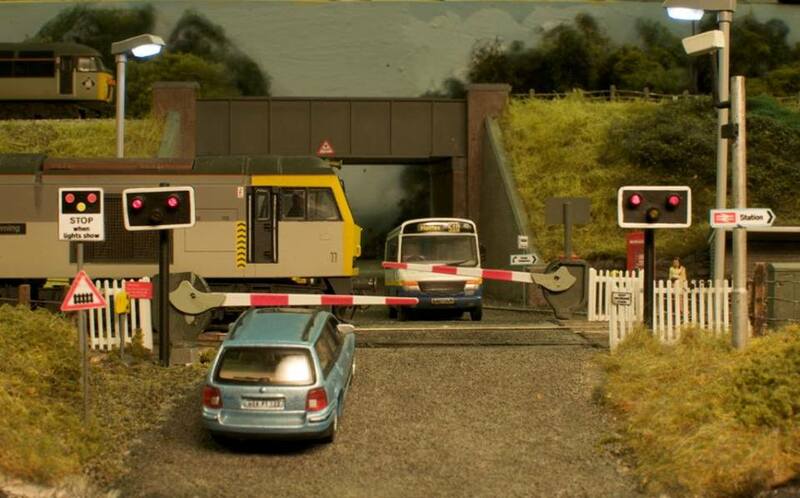 The working level crossing gates provide a continuous focus in the centre front of the layout. On the main line, there are two long passing loops, where freights and units may be stopped to allow faster trains to pass. 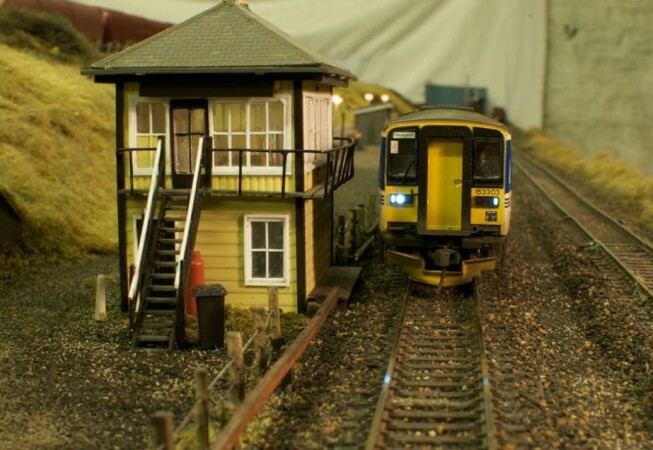 In addition to working colour light signalling features on the main line, the branch has operating semaphores and a working level crossing. 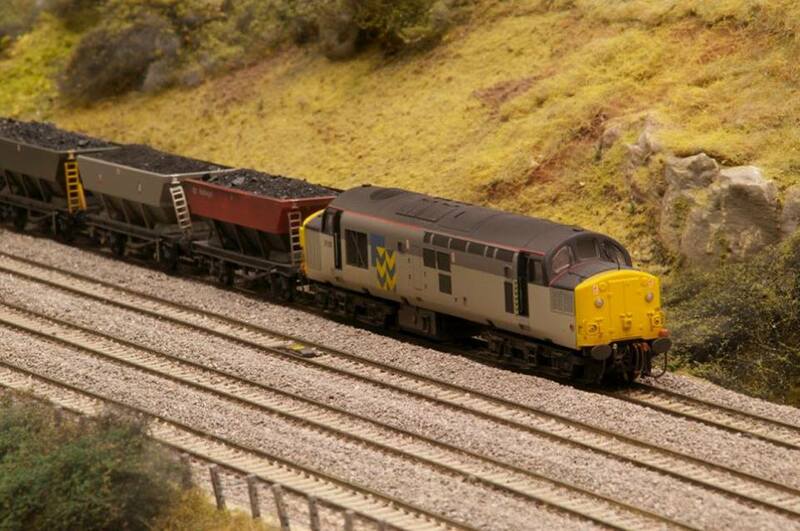 The branch is DCC controlled and features many sound fitted locos and units. 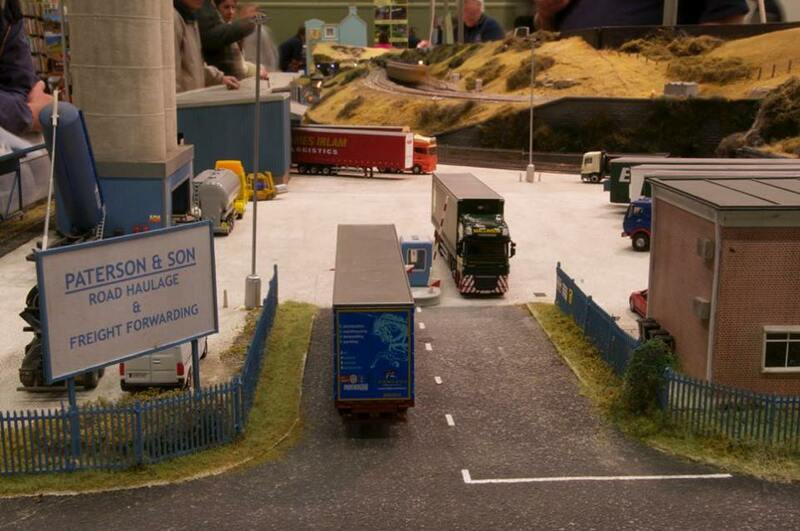 The main lines are conventional DC cab control. 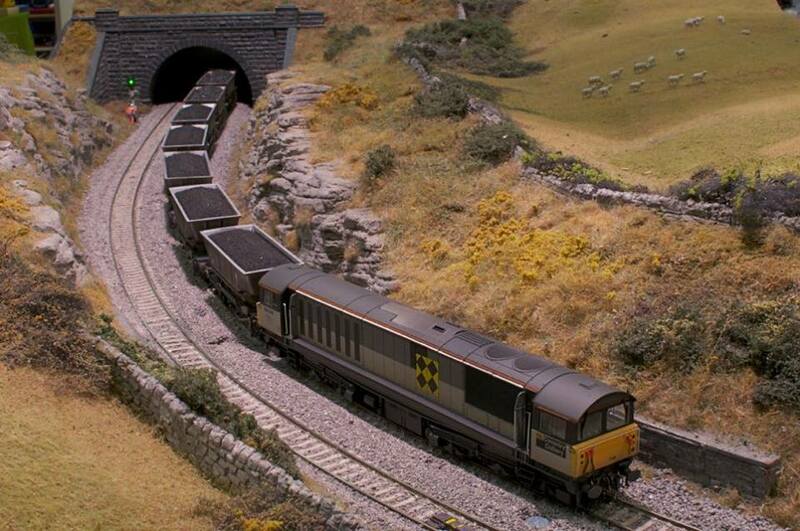 The layout can accommodate upwards of 30 full-scale length trains at any one time. 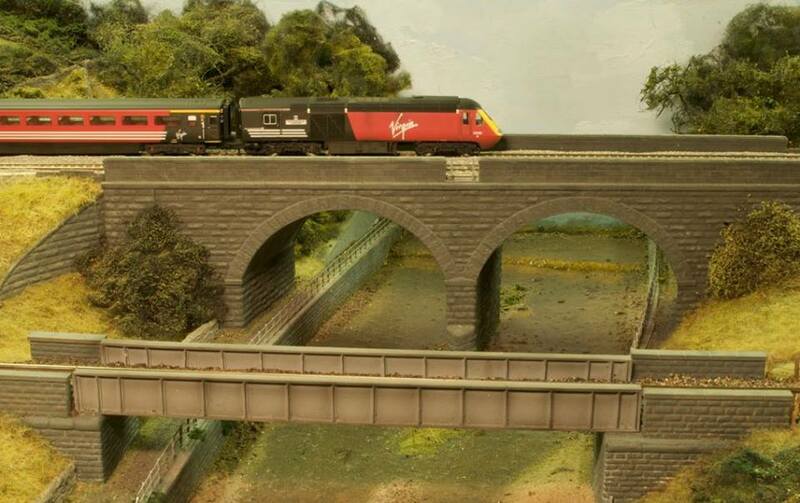 “Elliot Bridge” was built by a large group of modern image modellers within the club, but particular mention must go to Malcolm Donnelly, the man responsible for all the scratch built buildings and bridges except one built by our current Chairman, Jeff Paterson, on the low level over the river. The layout was built as a tribute to our great mate Andy Elliot, formerly of Harburn Hobbies, who passed away tragically early just as this layout was in the conception stage.